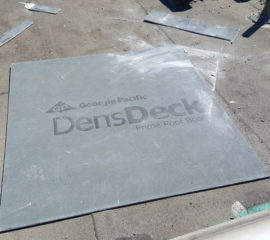 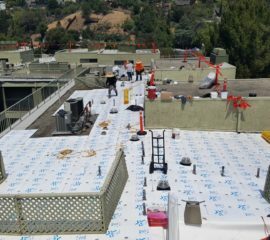 Over the existing metal deck, installed one (1) layer of 1” PolyIso insulation. 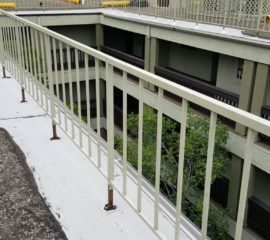 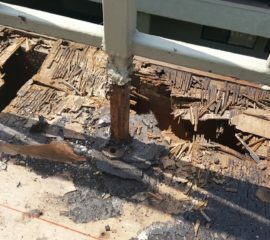 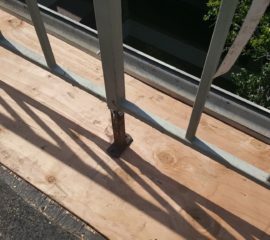 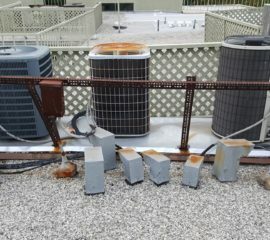 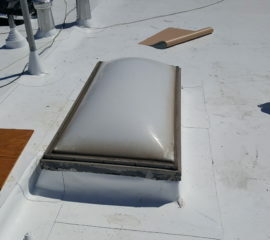 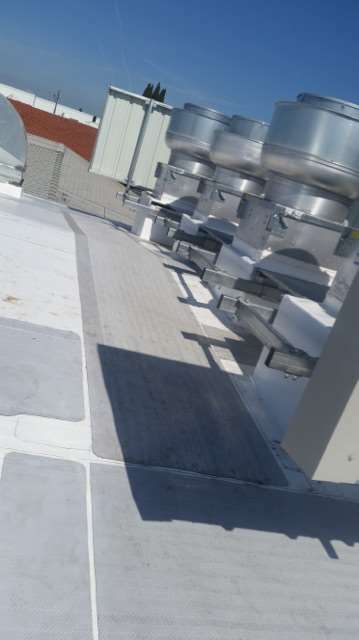 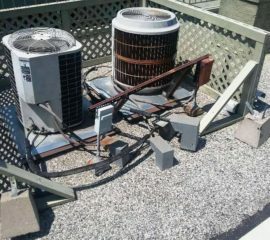 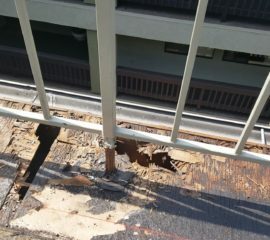 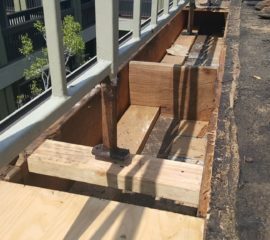 Insulation was mechanically fastened to the deck using screws and plates approved by the manufacturer. 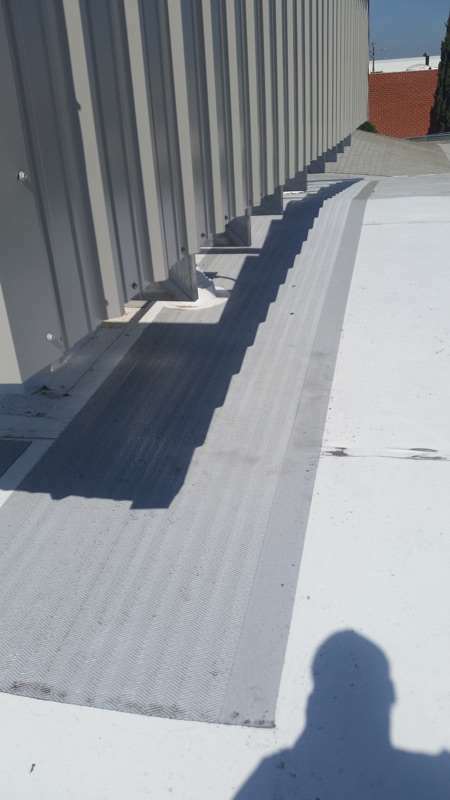 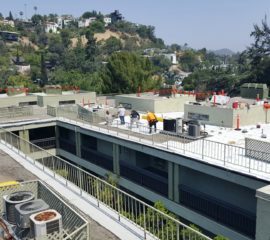 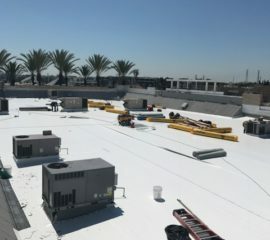 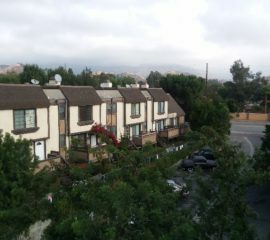 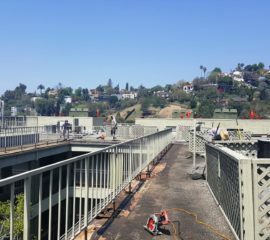 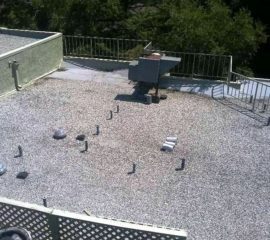 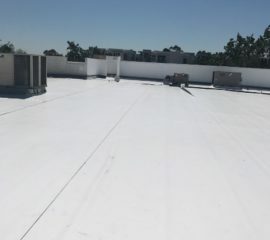 Furnished and installed one (1) layer of 60 mil PVC Roofing membrane, mechanically fastened to the deck. 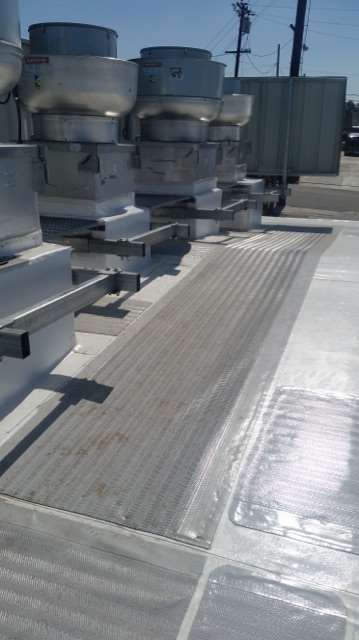 Used only screws and plates approved by the manufacturer for the securement of the membrane. 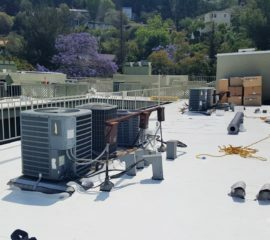 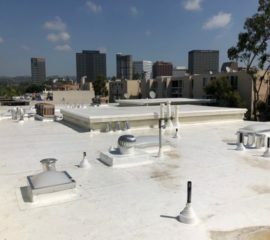 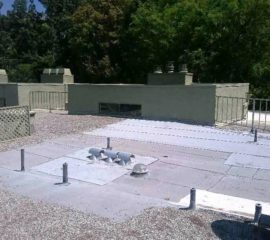 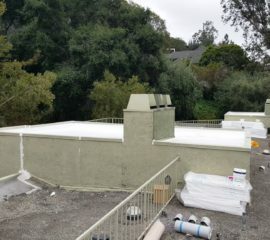 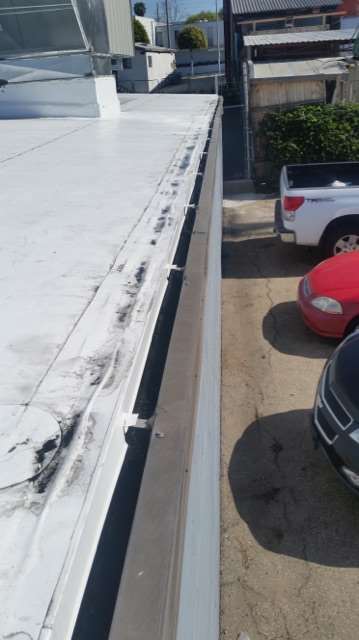 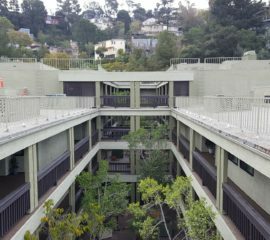 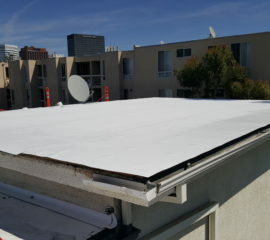 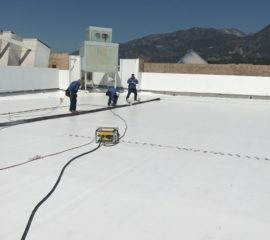 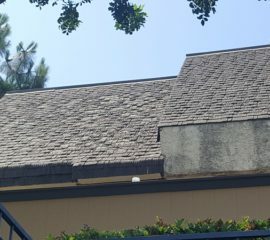 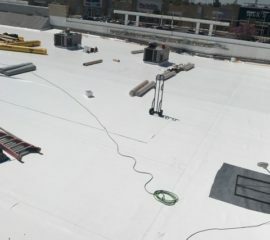 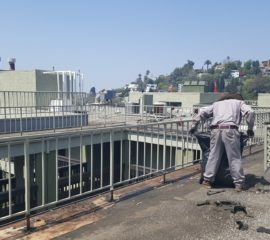 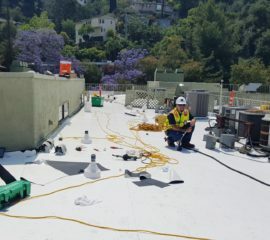 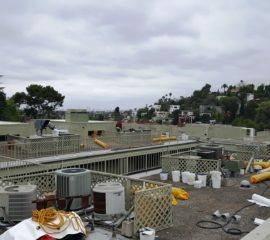 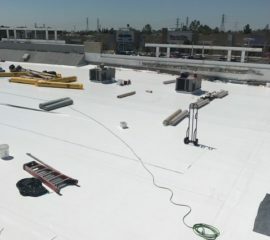 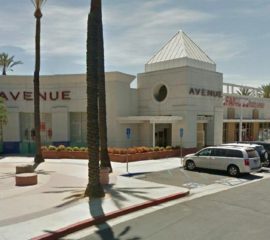 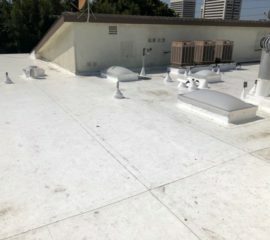 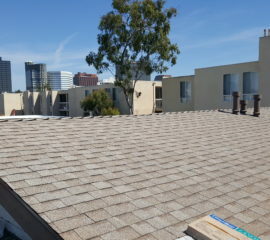 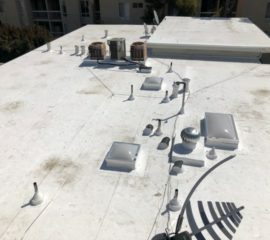 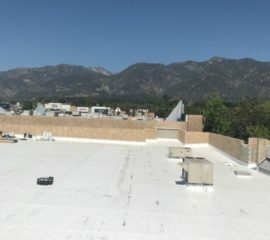 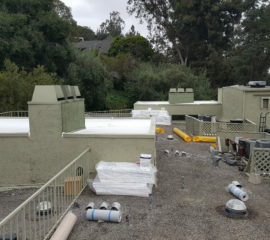 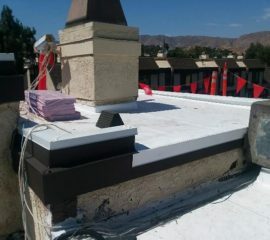 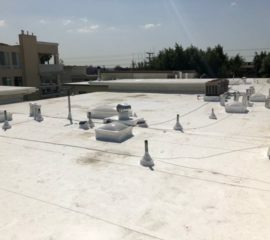 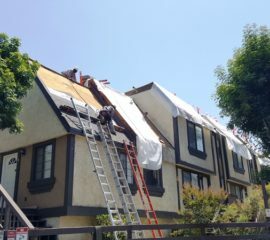 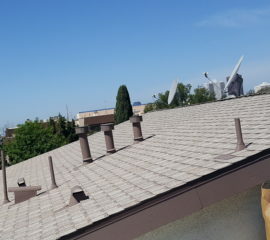 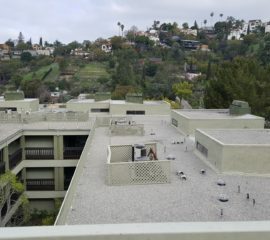 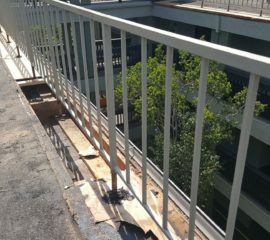 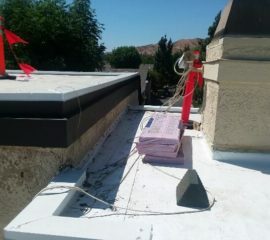 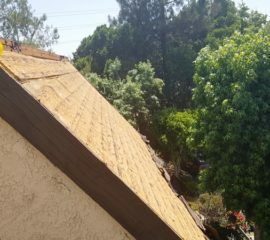 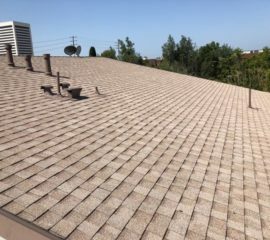 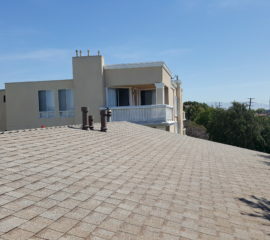 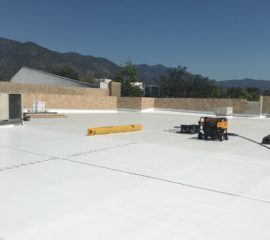 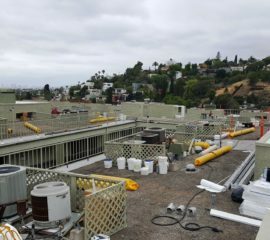 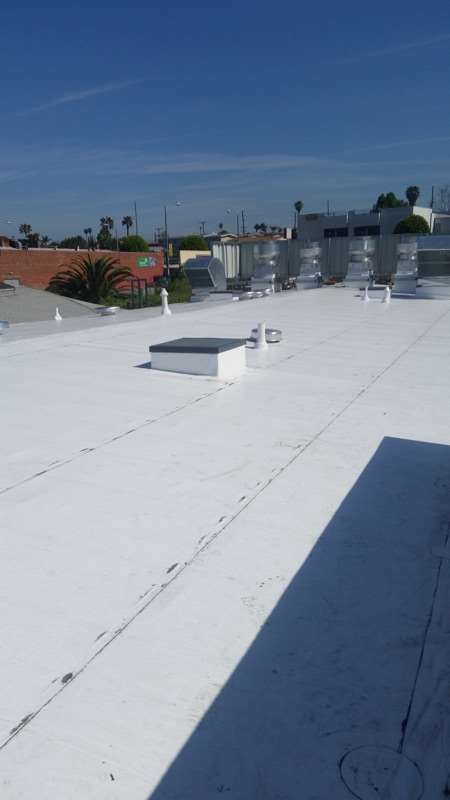 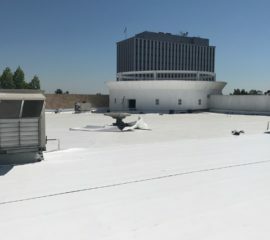 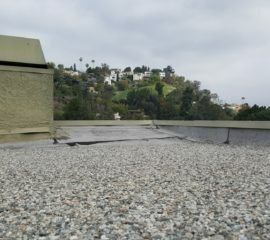 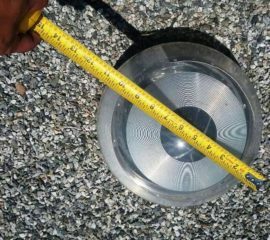 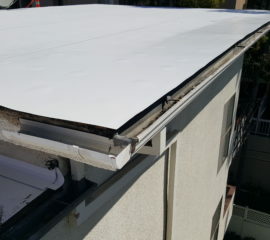 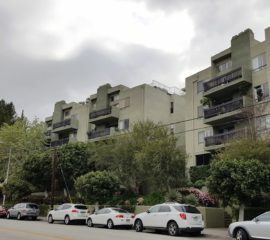 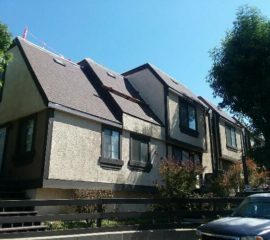 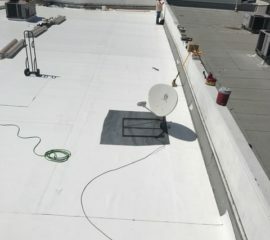 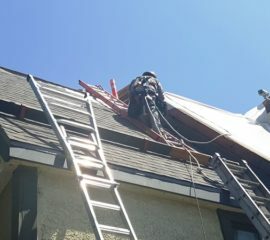 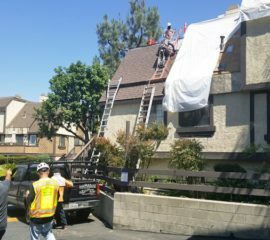 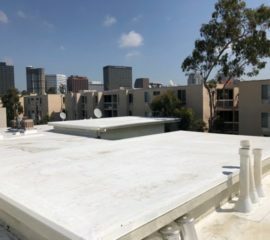 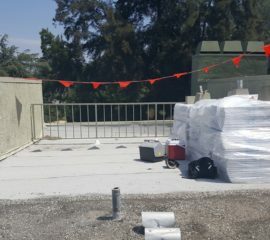 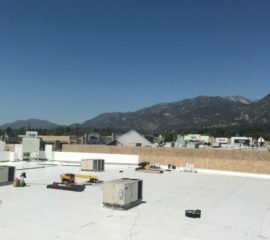 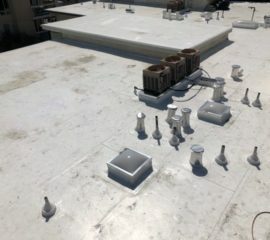 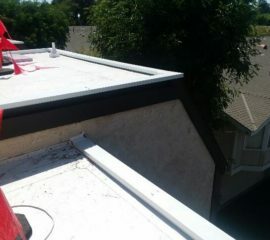 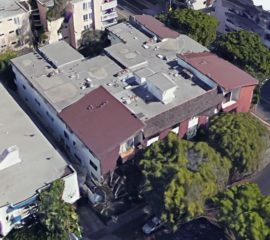 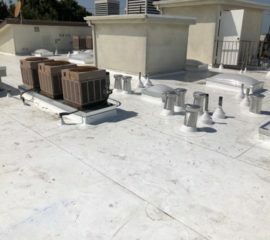 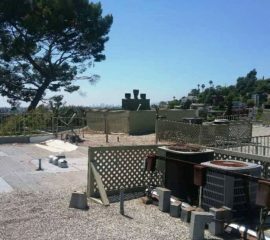 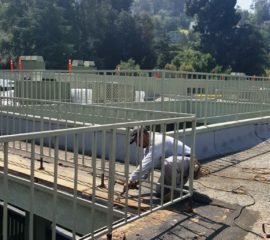 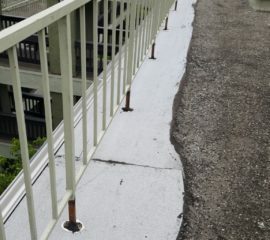 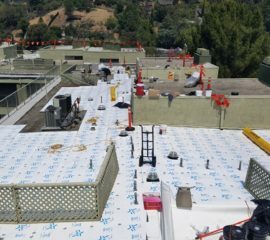 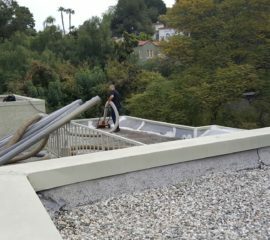 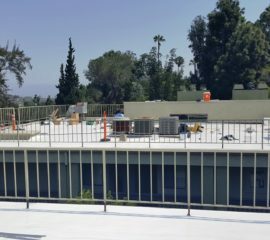 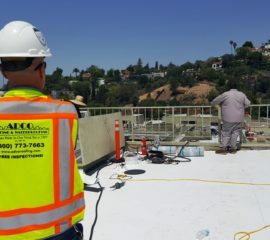 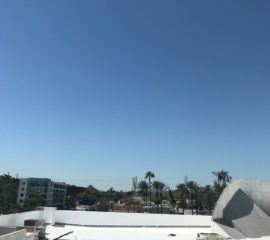 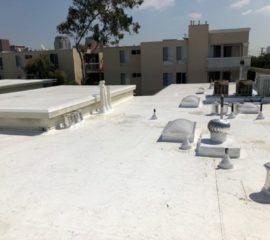 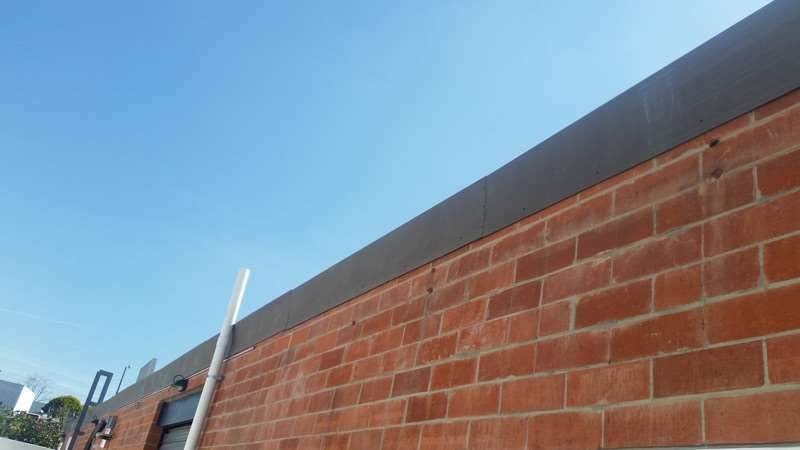 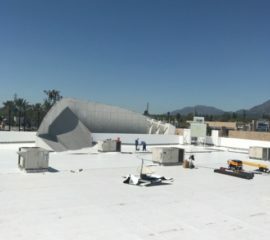 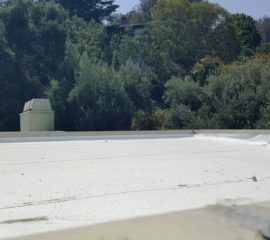 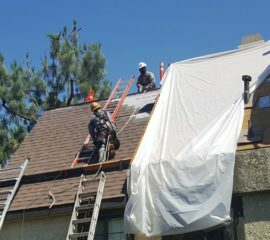 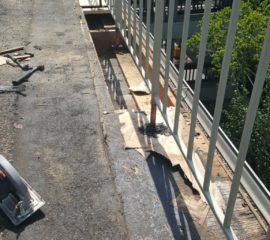 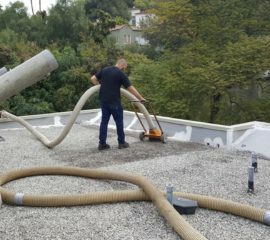 Roofing membrane was run up to the top of the curbs and terminated with termination bar or flashings installed by others. 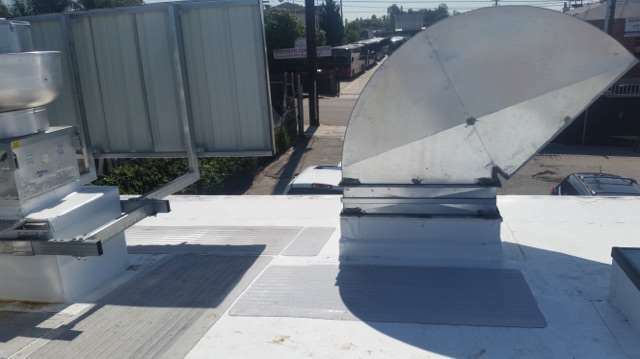 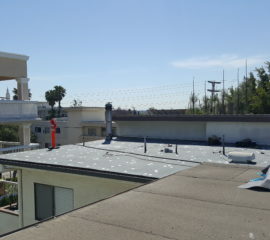 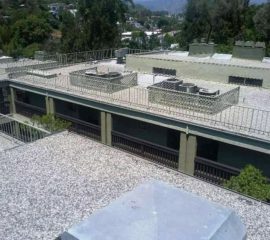 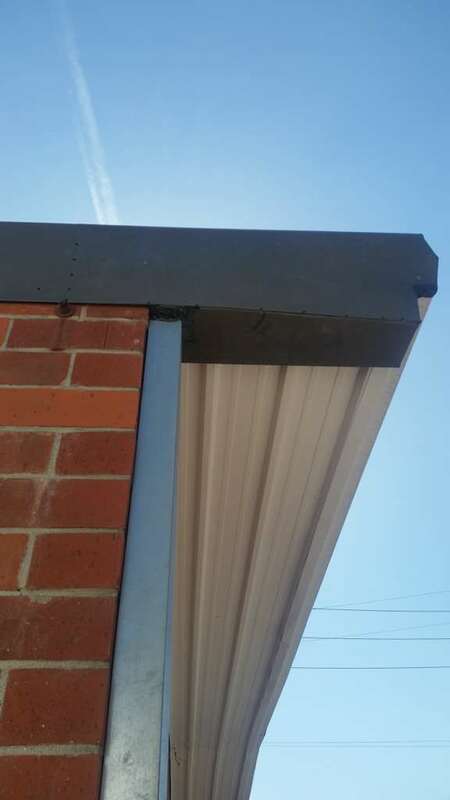 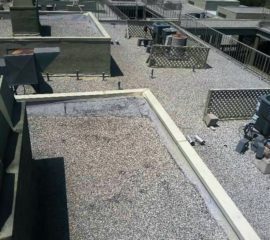 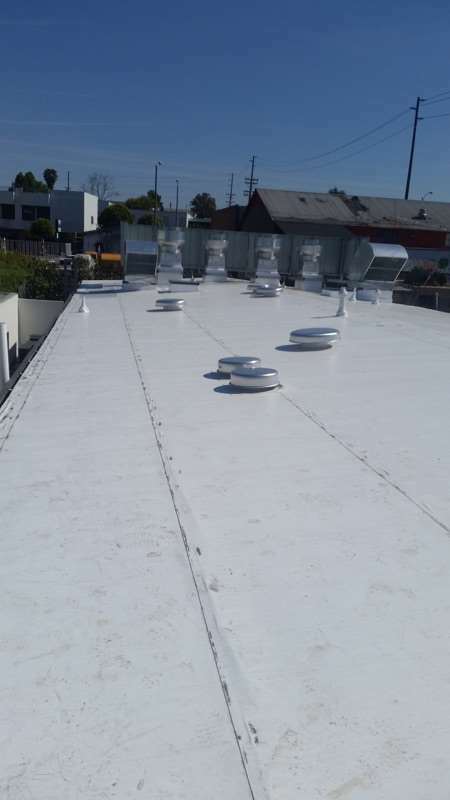 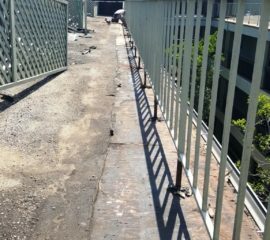 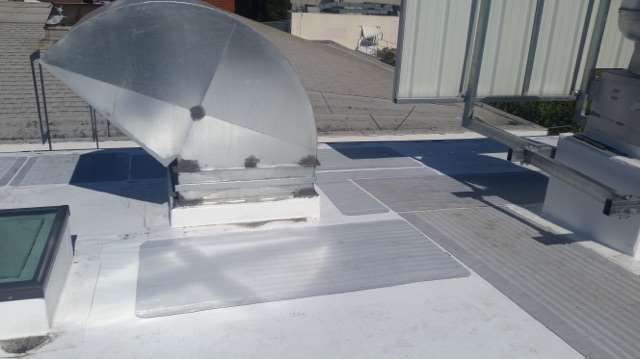 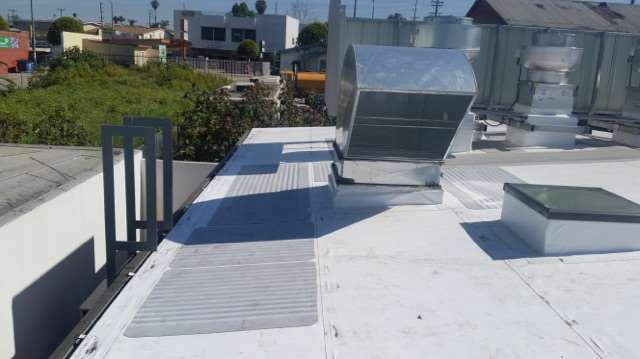 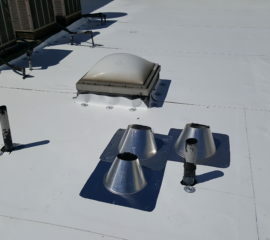 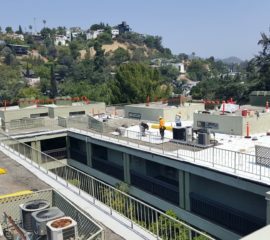 Fabricated and installed edge metal at the perimeter of the roof. 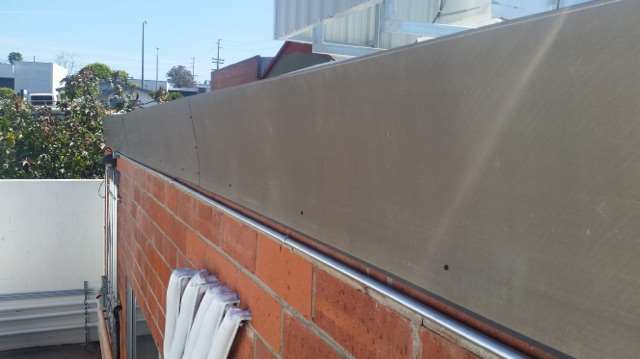 Edge metal was made from PVC Clad Metal. 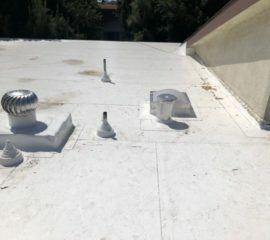 Sealed all pipe/vent penetration with PVC Boot. 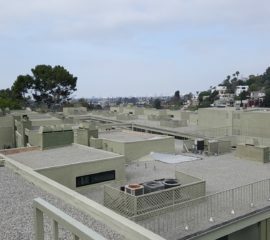 Furnished and installed walk pads per plans. 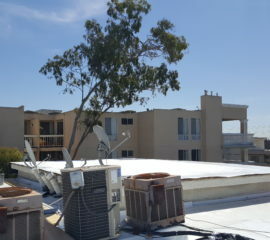 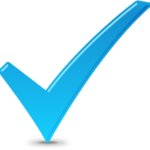 Removed all roof related debris from the site and disposed of properly.